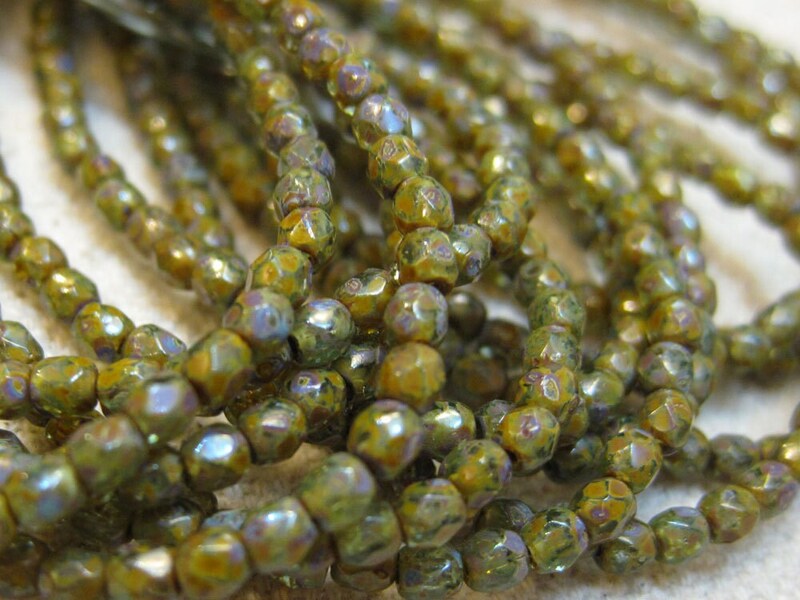 One strand of 50 dark olive green picasso stone look Czech glass fire polished crystal beads measuring 3mm. Add some sparkle to your jewelry creations! Super fast shipping - great vendor, great supplies!!! Thanks!